Every year in the sport of boxing there are new champions being crowned, contenders emerging into the fold, and prospects seeing their skills and talent come to light. 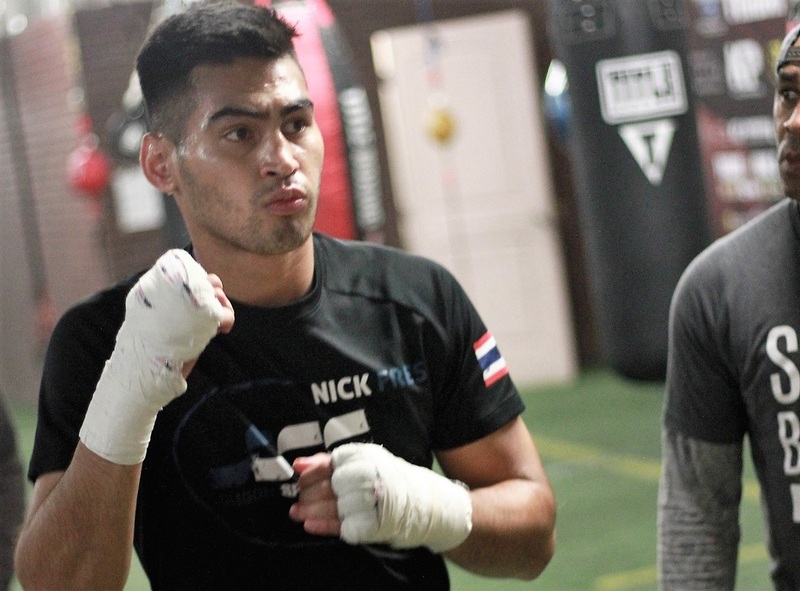 Undefeated welterweight talent Nick Frese is one of those fighters making significant progress, as he went 6-0 in 2017 while fighting across the globe and raising his overall ledger to 7-0 (6 KO’s). Originally from Amsterdam, The Netherlands, Frese, 23, moved to Thailand three and a half years ago and presently lives there. He also spends his fair share of time traveling to Las Vegas, as was the case this year. Frese, who is half Thai/Dutch, made his professional debut in December of 2016, stopping Janlee Paingco in Makati City, Philippines. Last year he added to his travels, as he fought in Malaysia, Thailand, California, and most recently in Hong Kong, China, as he continued his winning ways. It’s worth noting that Frese’s US debut took place on the “Superfly” undercard at the StubHub Center in Carson, which was headlined by Sor Rungvisai upsetting Roman Gonzalez a second time. Still young and discovering himself as a fighter while exploring the world, Frese admits that this kind of life is what he prefers. The more you interact with Frese, the more you realize just how wise he seems beyond his years. When noticing him, you can tell he has the look of a movie star about him and Frese laughs when discussing how the public has received him thus far. Make no mistake about it, however, as Frese is a fighter through and through. All one must do is look at him in training to get a sense of just how serious he is about his craft. Frese trains under the tutelage of esteemed Cuban trainer Ismael Salas out of the boxing capital of the world, Las Vegas. And while frequenting back to Thailand, he works under one of Salas’ former pupils, Panieng Poontarat. That means that Frese must map out his 2018 before he can return to training with Salas in Las Vegas. Currently a promotional free agent, Frese has had to show serious initiative in thus far guiding his career and things can only get better in 2018.